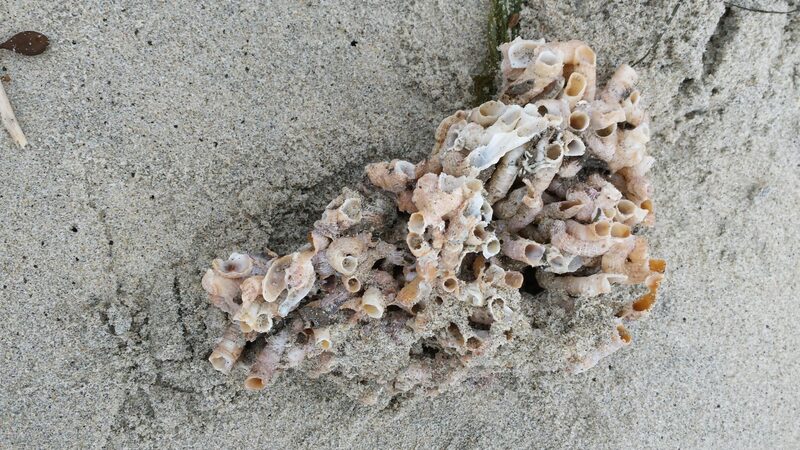 This must be some sort of barnacle collection, but I think they should be tuba worms. Or something. Tuba worms? It is my sister’s birthday today and I will see her Sunday at the funeral, and later this month we will spend a few days together, just the two of us. All we have is time and love, time and love to be tubes, to be together, to be sisters, to be family, to be happy, to be loving, to be creative, to be learning, to be walking and wondering on the beach, to be sending a gift to a sick friend, to be reading a fascinating book, to be knitting a sock, to be sewing a quilt, to be finding photos to take to a funeral, to be cooking a meal, to be taking a photo, to be working in the garden, to be making music, to be dancing, to be singing in the shower, to be listening to one’s children, to be giving hugs, to be calling friends, to be cleaning up, to be helping out, to be writing, to be.